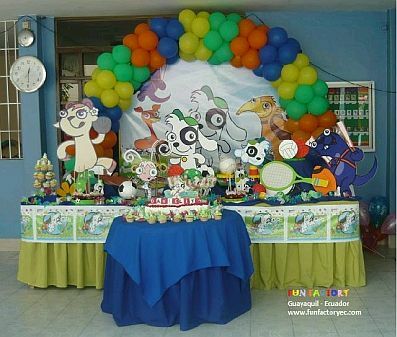 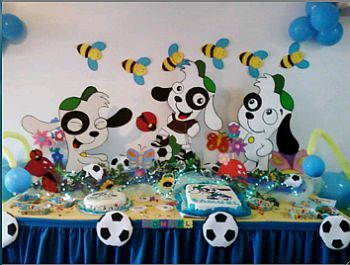 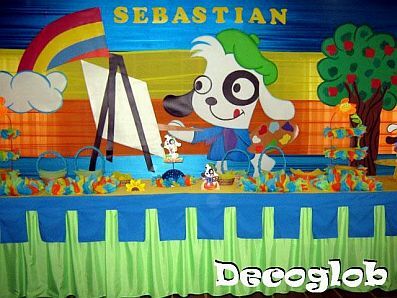 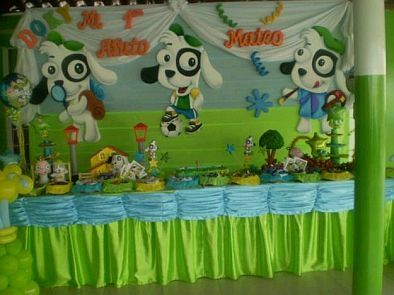 If you are someone who is interested in decorating the party of your child with one of the favorite characters of all children, Doki, then we give you some interesting suggestions that I hope will be useful. 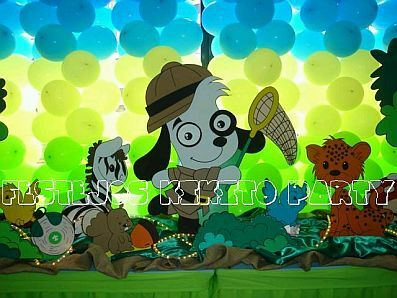 Remember you can use this cute character to decorate the party of your son or daughter, and can also choose from the many personifications of this adventurous dog. 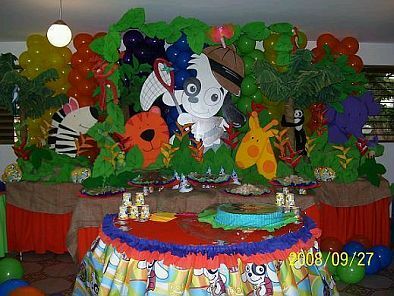 In this first image you have a Doki on safari, the decoration is made based on columns of balloons in the back, and front has a Doki accompanied by other animals. 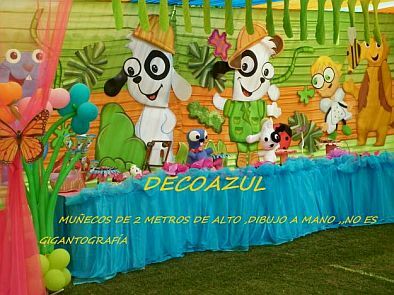 If you like the idea of ​​the safari, this is another proposal that recreates a forest made of paper and paperboard, in the undergrowth appreciate wildlife and Doki in between, if you want you can also drop columns of balloons in the later, but as you can see, it is not necessary. If you prefer Doki artist, this idea is for you, just place the character with a frame and behind colored fabrics. Sometimes just put the character in different positions, and looks good, in this case you have a Doki soccer. Colorful decoration idea, it can be appreciated in different characterizations of Doki. If you prefer decorations with Doki abd all his friends, then give you two ideas: In this first you have placed the characters on cloth pads. Another option is to place Doki and his friends, on the main table, and behind decorate the place with a balloon arch. 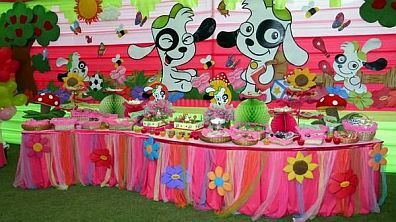 Another interesting idea in different characters Doki behind cloth pads will have a tablecloth and matching front. 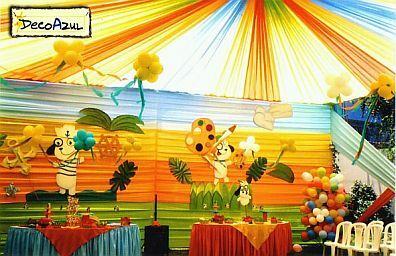 In this particular case, the awning is used to create a great visual effect within a Doki with different characterizations and balloon figures that perfectly complement the decor.